The AL-KO Combi-Care 38 Comfort lawn scarifier and aerator offers the benefits of the 38 E electric model, but with the additional benefit of an AL-KO 144F 53cc petrol engine. The new aerodynamic design for not only looks great, but also improves performance. The smooth underside reduces the amount of debris accumulating and requires less cleaning, while the large front air intakes ensure efficient motor cooling and improved collection performance. Equipped with larger rear wheels, the new design makes the machine even more balanced and stable, whether in operation or storage. The 38 P features a dual purpose aerator and scarifier cassette system meaning you can easily change the function of the machine to suit the job in hand. The patented five-position adjuster is quick and easy to adjust so that one touch of the dial is sufficient to reach the desired depth. Through tool-free cassette changing, it is simple to swap between the scarifying roll with three step steel blades and the lawn raking roll with efficient steel spring prongs. Whether gentle lawn raking with 24 specially formed steel spring hooks, or more intensive care scarifying with 14 special hardened steel blades, the AL-KO Combi-Care 38P Comfort provides complete lawn care with a single machine. With working widths of 38cm for scarifying and 37cm for aerating, the AL-KO Combi-Care 38 P Comfort is ideal for medium to large sized gardens. NB: Supersedes 38VLB model. A new look for an old favourite! Surprisingly compact, as well as being lighweight, the 38 P features a quality AL-KO engine producing more than enough power for the job in hand. The 38 P can be fitted with either the aerating cassette fitted with 14 hardened steel blades, or the scarifying cassette fitted with 24 steel spring tines. Swapping between scarifying and aerting modes is simple and tool-free. A 55 litre collection bag is included. The optical safety display shows whether the scarifying / aerating unit is securely fitted. The new design incorporates larger rear wheels, making the machine more balanced and stable, whether in operation, display or storage. The Right Working Depth, Always! Patented five-stage working depth adjustment with just one hand motion. The AL-KO Comfort 38P has been awarded Which? Best Buy for the eigth year running! Excellent machine! More powerful than similar priced models I have tried and really pulls that thatch/moss out. Don't try and use the pointless bag though as it fills up in about 2 seconds! Just rake it up. Aerator also works well, but don't set it too deep as it is really powerful and will do some damage if too deep. I'm using this professionally and it is coping admirably. 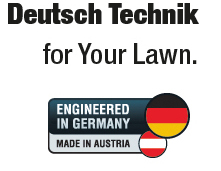 I would thoroughly recommend it over similar priced models out there - thinking Einhell mainly. I have used electric scarifiers for many years - this is much better. I have approximately a third of an acre which it coped with admirably. Overall very impressed. Top notch product at a great price.